Nelipak® Healthcare Packaging designs, develops and manufactures custom thermoformed packaging products that provide superior protection for medical devices and pharmaceuticals. EnvisionTEC is a leading provider of professional-grade 3D printing solutions to organisations around the world. Lubrizol LifeSciences is a total solutions partner for medical device manufacturers. We specialize in helping customers from idea to execution. Freudenberg Medical is a global partner for the design, development and manufacture of innovative medical devices, subassemblies, and components. Compounding Solutions is a leading manufacturer of specialty medical compounds, color concentrates, and additive concentrates. Foster provides custom development & manufacturing of polymers for class I, II & III devices. Proto Labs injection moulding offers real injection moulded parts directly from 3D CAD models, great for low-to mid-volume production parts, bridge tooling and functional testing. Medical packaging. Purity assured. On-time, on-budget – thermoformed plastic packaging all wrapped up! In Touch with Plastics. 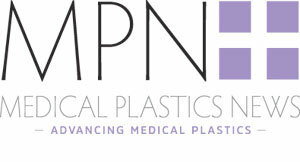 Do you process plastics? Then we are your partner, developer and problem solver.